Last year, Vision Mercer Island surveyed over 1,100 island residents to understand transportation priorities. Not surprisingly, only 16% felt they were “well” or “thoroughly” informed about the specifics surrounding the mobility impacts of Light Rail. That said, residents were very clear about what was important to them. 86% agreed that the City Council should negotiate fiercely for MI priorities, even if it means playing hardball with other agencies and cities, and only 27% are unwilling to make tradeoffs in a negotiation. 54% think Light Rail will be good for MI. HOV Access: The deal cut in 1976 allows all Mercer Island traffic (including single occupant vehicles) to use the center Express Lanes. When these lanes close in 2017, new HOV lanes will be striped from I-405 to Seattle. 94% support continuing this eligibility. This issue is more important than tolling to Islanders. Why it’s a win/win: Without MI traffic in these new HOV lanes, they will be operating at under 50% peak capacity. Since buses won’t be using the HOV lanes because of Light Rail, the best use of that capacity is to remove cars from the general purpose lanes. Parking: Today, ~50% of the MI Park and Ride is taken by off-island commuters. This will get worse when the Bellevue Way P&R closes in February 2017. 85% support zoning the MI P&R for MI commuters. While 100% reserved is unrealistic, 75-85% probably meets the needs. Most Light Rail riders will be existing bus riders, so it’s unclear that a second lot is needed. Sound Transit could easily create a restricted fund to incentivize developers to install added commuter parking. Why it’s a win/win: 60% of projected MI daily Light Rail riders think reliable parking is extremely or critically important. Sound Transit wants people to use Light Rail and they want people walking, busing or driving to the closest stop, not the last stop before Seattle. Bus Intercept: Once Light Rail Eastlink opens, buses will no longer cross the I-90 bridge. They will stay on the east side. Buses should connect passengers to Light Rail in a way that minimizes travel time, variability and impact from buses parking and turning around. All of those conditions will be met at the new Bellevue P&R. Only 46% prioritize this issue. Why it’s a win/win: Sound Transit’s own analysis shows that “intercepting” at the new Bellevue P&R will be equal travel time for commuters but significantly more reliable, while also allowing better logistics. HOV Enforcement and Cut-Through Traffic: Approximately 20% of peak hour traffic exiting onto Mercer Island is cutting through to gain HOV eligibility or to shave a few seconds off their commute. Exiting and re-merging adds 10-20% to peak traffic delays on I-90 and clogs local streets and ramps. Less than 24% of Islanders would oppose existing, affordable camera-based technology to automate HOV lane enforcement and prevent cut-throughs. Why it’s a win/win: Enforcing HOV lane integrity is an important responsibility for WSDOT. Limiting cut-throughs improves travel times on I-90. Available and proven technology relieves burden on State Patrol officers. Loss of Ramps: 25% of traffic between Mercer Island and Seattle uses the reversible on/off ramp at 77th Ave SE near the Town Center. In 2017, this ramp will be permanently closed with no replacement. Traffic will back up on other ramps and, for the 6-7 years of construction, buses will weave across lanes of traffic in the lid tunnel as they attempt to access other ramps from the HOV lanes. Not surprisingly, 82% of Islanders support new ramps to prevent this. Why it’s a win/win: While it may be expensive ($15-20M), direct access ramps will meaningfully improve bus performance during Light Rail construction. Afterwards, those ramps will remain critical for smoothing flow for MI traffic using the HOV lanes. Access To Light Rail: Approximately 35% of projected daily riders think regular shuttle access from their neighborhood is critical. Bicycle facilities connecting neighborhoods to Light Rail is important to 21% of Islanders and 35% believe improved pedestrian access will impact their likelihood to ride the train. Metro has been experimenting with different models of intra-Island mobility and can certainly continue. Sound Transit is already committed to bicycle and pedestrian improvements at and near the station. Sound Transit could also offer restricted funding to the City to improve and experiment with options for getting commuters from homes and businesses to the Light Rail station. Why it’s a win/win: Encouraging ridership is a shared goal. Getting people to the station efficiently is good for everyone. Transit Capacity: Mercer Island is the last stop between the eastern suburbs and Seattle. While buses are full all over the region, they are particularly full here. Sound Transit and Metro are aware of the needs to monitor capacity to ensure that MI commuters, like all riders, are able to find seats. Why it’s a win/win: Seat availability encourages ridership, which is a shared goal. Construction, Post Construction and Public Safety: I-90 construction closures severely impact mobility on and around the Island. 80% of Islanders would prefer overnight closures to weekend closures, ranking behind only HOV eligibility, tolling and public safety in priority. MI first responders have specific training needs as well as minor requests for station design. Residents are also concerned about noise, both during construction and operation, in light of the negative experience with the new SR520 bridge. Why it’s a win/win: I-90 mobility and safety is a regional issue and construction closures impact everyone. Neither Sound Transit nor WSDOT want noise complaints during or after construction. Legal Construct: It’s critical that any new agreement be in clear harmony with the 1976 MOU and 2004 Amendment. 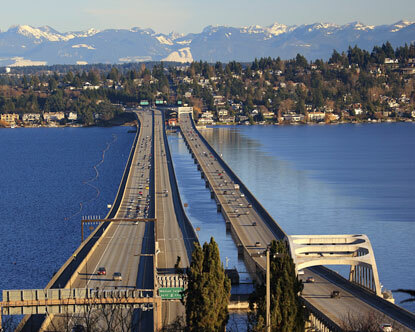 These binding agreements protect Mercer Island from changes to the configuration and operation of the I-90 facility. These rights do not disappear when Light Rail is constructed. Mercer Island also has very specific legal obligations surrounding permits, especially the Shoreline Permit. Why it’s a win/win: Sound Transit and WSDOT want certainty around their schedules and permits. Mercer Island wants to be on sound legal footing and make sure there aren’t future surprises in how I-90 is configured and operated. Email the Mercer Island City Council today and let them know you care about the outcome of these negotiations. Tell them to get unified quickly. Tell them the people of Mercer Island know a good win/win deal from a bad deal. Write your own email or feel free to copy the one below. Either way, nothing will happen if you don’t make yourself heard. I care about the outcome of the current transportation negotiations and am concerned the City is on the wrong track. Please work together as a unified Council and stand up for win/win solutions the Island and region can get behind. Get the deal specifics on the table and don’t be afraid to play hardball. This is a once-in-a-generation negotiation. Please get it right. The parties do not appear far apart on the list of issues. Vision Mercer Island hopes that by educating people about these issues we can identify win/win solutions and encourage a good, expedient and public process. Interested in receiving email updates about Vision Mercer Island delivered to your inbox? Simply fill out your email below to stay informed. Vision Mercer Island is a community organization supported by private citizens and residents of Mercer Island. Lori Otto Punke, Island resident, is the executive director of Vision Mercer Island. Copyright © 2019 Vision Mercer Island. All rights reserved.